Ms. Angeliki Katsapi is the Director of TEMOS Hellas Ltd and the Executive Director of the Euro-Mediterranean Institute for Quality and Safety in Health Services, Avedis Donabedian. Moreover, she is an Internationally active certified auditor and tutor for quality, patients’ safety and management systems in healthcare and medical tourism services. 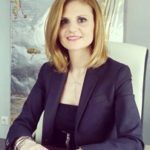 She is an International Assessor of the German Healthcare Accreditation Body, Temos International and the business partner of Temos in Greece and in Cyprus since 2010 and a trained Certified Fraud Examiner by ACFE, Accredited Auditor and Tutor in ISO 9001, BS/DIN EN 15224 & ISO 37001 standards. Ms Angeliki Katsapi has been occupied as the Managing Director of Swiss Approval T.B., the Greek branch of Swiss Approval Group and the Accreditations Manager of Swiss Approval International for 4 years, with significant achievements in the development and activities’ expansion of the Certification Body. Mrs Katsapi holds an MSc in Health Informatics and Healthcare Management, she is an IRCA certified lead auditor and lead tutor for ISO 9001:2015 QMS, for ISO 37001 for Antibribery Management Systems, and for healthcare certification programs. 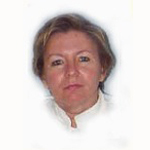 Mrs Katsapi is an expert in Quality Management Systems and Quality Assurance in Medical Tourism having 9 years of experience as a leading assessor, trainer and/ or consultant in various countries as Turkey, Brazil, Philippines, China, Hungary, Ukraine, Iran, Germany, Cyprus, Albania and Greece. – several senior management positions as a Member of various ‘E- health’ projects’ Workgroups and Review Committees on behalf of the Greek Healthcare Ministry and Information Society S.A.
– employed by the Greek Ministry of Health and Social Solidarity during the period 2002-2005 undertaking project management duties for 3rd European Support Framework projects. Mr. Goumas is an Official Certified Assessor-Auditor of Temos, since 2011 ,for Hospitals and special Departments as an experienced and specialized in Nursing, Health Management and Quality Management Systems with an international experience in Europe , Asia and Latin America . 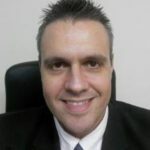 He is member of the Temos Assessors Advisory Board and Certified Auditor for ISO 9001 at Swiss Approval Technische Bewertung s.a.
Mr. Goumas has a Bachelor’s degree in Nursing from the Technological Educational Institute of Larisa in Greece and a Master of Science in Health Management from the University of Piraeus also in Greece. Currently he holds the position of the Nursing Director in a private Hospital in Athens. Since 1998 he worked in several hospital departments like ICU , Endoscopy , Emergenncy as staff nurse and as Nurse Manager in Interventional Cardiology & Electrophysiology Catheterization Laboratory and in the Interventional Radiology and NeuroRadiology Department. He also served as Army Nurse in Greek Army Nurse Corps for 18 months. 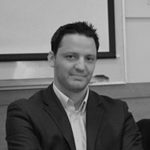 Dr.Yannis Krallis is a Certified Temos Assessor as a dentist with a great experience in management systems for healthare sector. He is an expert of ISO 9001 & ISO 13485 with over 500 mandays of auditing. Dr Krallis graduated from Dental faculty of University of Athens and he holds a Master in Bussiness Administration – Total Quality Management from University of Piraeus. Dr. Galanis is an active Orthopaedic Surgeon since 2014, a Temos Certified Assessor and an IRCA Certified Lead Auditor for the standards ISO 9001:2015 and BS/EN 15224:2016. He holds a Master degree (MSc) in “Healthcare Management” and is a PhD candidate in the field of osteoporosis (Athens Medical School, 2014 – ongoing). He participated in various audits/assessments in healthcare facilities in Greece, Egypt, Dubai etc. Dr. Galanis is a licensed doctor since 2004 (Prefecture of Evia). He has fulfilled the GP medical service (15 months) in Greece and the obligatory military service in the Greek Army (12 months). He was trained in Orthopaedic Surgery and Traumatology in Germany and Greece. Moreover, he was additionally trained during that period in Plastic surgery (6 months) and Orthopaedic oncology (6 months). Mr Pisimisis is a Temos Certified International Assessor in IVF clinics. Moreover he is a Certification & Audit Expert in Quality Management Systems and Quality Assurance in Medical Tourism having totally 5 years of experience as an expert or consultant in medical services in Greece (TÜV Rheinland Hellas & Swiss Approval Technische Bewertung S.A.). He received his degree in Biology, from the Faculty of Biology of the University of Athens. He also has a PhD in Medicine (University of Athens). Since 2004 he is working as molecular biologist with expertise in human genetics (cancer and prenatal genetics). He has participated in Greek and International scientific research projects and published 26 research articles. 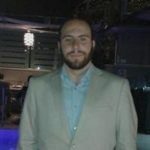 He has served at the Department of Experimental Physiology of Athens Medical School, from various positions, as a Quality Manager 2006-2009, Research Associate 2009-2011, and Scientific Collaborator (2011-2012). He has participated in the production of e-learning seminars concerning the Cultural Sensitivity and Hygiene & Safety best practices in Hospitality Industry. Finally, he contributed in the production of the innovative TEMOS Certification Program “Quality in International Eye Care”. Dr. Simopoulou is a Temos Certified Assessor with specialization in the IVF clinics/centers. She is the Assistant Professor of Physiology of Reproduction at the Medical School of National and Kapodistrian University of Athens and a Certified Senior Clinical Embryologist at the rank of Laboratory Director from ESHRE. Moreover, she is the Laboratory Manager at Aretaieio University Hospital Assisted Conception Unit and the Scientific Consultant for Genesis Athens Clinic. Expert on Certification for Quality on International Patient Management. Visiting Assistant Professor in Clinical Embryology at the School of Medicine at the Department of Obstetrics and Gynecology of the University of British Columbia (UBC) in Canada. Invited by Professor T. Rowe. Assistant Professor in Clinical Embryology Medical School of Democritus University of Thrace. Lecturer in Clinical Embryology Medical School of Democritus University of Thrace. D. in Obstetrics and Gynaecology & Human Genetics University College London. Research Fellow in the Obstetrics and Gynecology Department of University College London (UCL) specializing in Preimplantation Genetic Diagnosis (PGD) for chromosomal abnormalities part of the Human Genetics and Embryology Group under the supervision of Joyce Harper. 20 years of experience in the field of Physiology of Reproduction. Authored and co-authored 34 articles in peer-reviewed journals. Research activities focusing on current In Vitro Fertilization Practices, controversial aspects and bioethics in the field of Human Reproduction. Collaborations on an Academic, clinical and research level in University Departments, Affiliated Clinics, Assisted Conception Units and Hospitals, in England, USA, Canada, Malta and Greece. Special Interest on academic education and balancing research activities and clinical commitments. Personal mission as a member of the scientific community the advancement of knowledge on a theoretic and research level, along with continued improvements on medical education and raising awareness on fertility and infertility issues while aiding women to reach their reproductive journey destination. Mr. Kazanas is a Lawyer and a Qualified Member of Athens Bar Association. Following the completion of his basic law studies, he underwent postgraduate studies in the fields of European Law and Human Rights in the Netherlands and France. Mr. Kazanas has worked as Legal Advisor in various law firms and institutions while he has worked as scientific collaborator at the Ministry for Citizen Protection and as Associate Professor at the Police Academy. 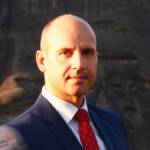 Konstantinos has extensive background in dealing with complex legal affairs and intercultural education. 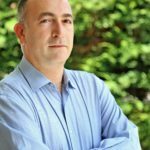 He has participated as instructor in a variety of training programs, workshops and seminars on the right to health and the legal regulations in medical services and he has published several articles in Greek and foreign scientific journals. Mr. Rizos Fotios is the Project Manager and Customer Care in Temos Hellas, the Education Training Manager & the Personnel Certification Manager according to EN ISO/IEC 17024 Accreditation Standard in Swiss Approval Technische Bewertung S.A. and the Deputy Executive Secretary of Avedis Donabedian Euro-Mediterranean Institute of Quality and Safety in Healthcare (ΕI-QSH). Furthermore, he is a Lead Auditor for ISO 9001:2015. Dr Michail is the President of the European Society of Physical and Rehabilitation Medicine (P.R.M.) 2011-2015), and a Certified Fellow of European Board of P.R.M., since 2005 Senior Fellow. Dr Michail is also serving as President of the Hellenic Society of Physical and Rehabilitation Medicine (elected four times since 1998) and Vice President of European Academy of Rehabilitation Medicine. In the past, she had also served as President of UEMS / European Board of Physical and Rehabilitation Medicine (2006-2008) and Vice President of Mediterranean Forum of PRM until 2010. 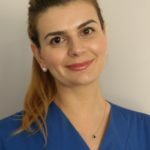 Dr Michail studied at the Medical school of Athens University and graduated as a Physical Medicine and Rehabilitation specialist.For over 20 years she was employed as Professor of Rehabilitation Medicine in the faculty of Physiotherapy of the Technological Educational Institute of Athens. • Member of auditors committee for the Certification and Accreditation of PRM dept. (after on site visit) by UEMS/ European Board and Quality of care com. of PRM. • Member of Editorial Board of European Journal of PRM. • Invited lecturer in more than 50 congresses in European countries and USA the last 20 years. • Honorary member of the Italian Society of PRM (SIMFER 2009). • Scientific counseling team member in European programs and projects on Disability, vocational Rehabilitation, elderly care etc. • Member of many European and International Scientific Societies as American Academy of P.R.M., European Society of PRM, International Society of P.R.M, Mediterranean Forum of P.R.M, & Federation Internationalle de Medicine Sportive.